It's time to make your family proud (and your bubbe kvell). After all those years in Hebrew School, you're ready to show off your knowledge. 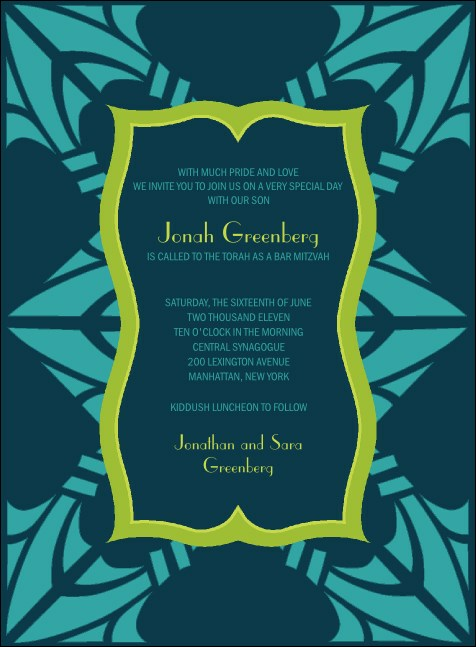 As you prepare to enter adulthood in the eyes of your community, make sure your community is there to join you by sending out these Bar Mitzvah Invitations in teal and green. Fill in your info on the template below! For all your simchas, TicketPrinting.com is here to help.